I'm glad you brought up the kickoff rule, Stefan, because I think it's the most interesting thing about this NFL season that does not involve the ongoing vigil over Peyton Manning's neck. (I don't mean to make light. Peyton's injury is a sad story—the NFL is a much brighter place when all the Mannings are present and accounted for—but at this point would anyone be surprised if ESPN sent Chris Mortensen to do stand-ups from the grotto at Lourdes?) As regards the safety issue, I tend to take the cynical view: Fiddling around with the rulebook in the name of player safety is really just a way of shifting the liability onto the help. (Now there's a wussy move.) That's been the league's M.O. from the moment Alan Schwarz started bird-dogging the concussions issue in the Times. That's what the league did last year when it engaged in some heavy-duty concern-trolling about "flagrant" hits, never mind that the real killer is the steady accumulation of many lesser and perfectly routine blows, which is to say the very substance of the sport. Players hurt players, the league's message goes, but football itself has clean hands. 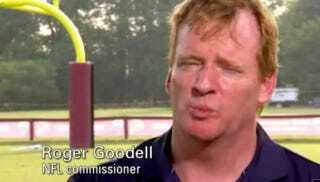 Any time Roger Goodell talks about safety, all I hear are 100 lawyers clicking their briefcases shut. I don't think we'll see anything quite like the above with the kickoff rule, obviously, but you can start gaming out the unintended consequences. 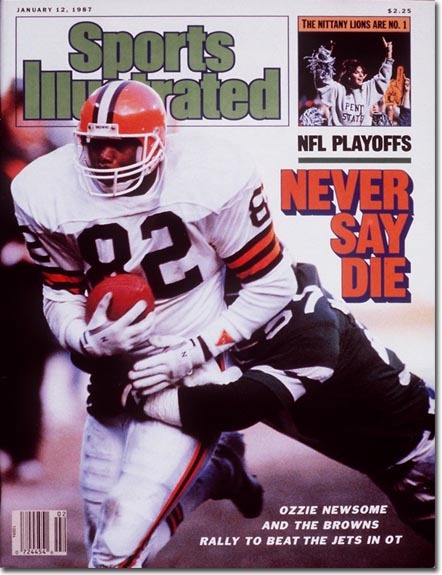 As you noted, Stefan, former Titans special teamer Donnie Nickey immediately saw the labor implications. Does a specialist like Devin Hester still go in the second round of the NFL draft? Does he get that $15 million guaranteed? And what about kickers? A big leg like Billy Cundiff's is nowhere near as valuable if touchbacks become the norm. Will we see more onside kicks, now that the potential cost of surrendered field position is somewhat diminished? Or fewer, because the element of surprise will quickly fade? Will we see the rise of a class of tactical kickers? And what about the effect on us slobs back at home? You realize what we're in for, right? Touchdown, extra point, commercial block, touchback, commercial block. That's punishingly bad television. That's a Coors ad with a little football mixed in. And what happens when the league takes the inevitable next step and ditches the kickoff altogether? Would advertisers riot? Applebee's has to be at DEFCON 2 right now.